Lim pins the stripe on a promoted recipient in conjunction with the 212th Police Day at IPD Miri yesterday. MIRI: Police here deserve a pat on the back for their success in solving 25 organised crimes masterminded by four criminal gangs between Jan 1 and March 25 this year. District police chief ACP Lim Meng Seah in an interview after officiating at the district-level 212th Police Day celebration here yesterday said the four gangs crippled by the police were Lakia Teck, Ah Hock, Justin and Rone. “Lakia Teck which comprises three local men was actively involved in robbery and vehicle thefts in the city prior to their arrest. After their arrest, police managed to solve one robbery case and two vehicle theft cases,” Lim said. The gang was arrested between Jan 4 and 5. Another gang named ‘Ah Hock’ with four members was arrested for their involvement in motorcycle theft and vehicle theft. Following their arrest, police managed to solve nine cases. “Police also crippled a gang nicknamed ‘Justin’ which was active in motorcycle theft, with the arrest of five men including an Indonesian. With their arrest, police solved eight cases,” Lim said. The other gang brought down by the police was called ‘Rone’ – active in stealing cables along Pan Borneo Highway. The gang consists of five local men and with their arrest, police solved five cases. Meanwhile, the narcotics police arrested 173 individuals during the first two months of this year. Of the 173, five were arrested under Section 39B of the Dangerous Drugs Act 1952 for illegal possession of drugs which carries death sentence upon conviction, while 17 others were arrested under Section 39A(1) of the same act for drug possession and 43 were rounded up under Section 12(2) of the same act. “The biggest arrest was made under Section 15(1)(a) of the Dangerous Drugs Act 1952 for drug abuse where police arrested a total of 106 individuals,” Lim said, adding two individuals were arrested under Section 3(1) of the Dangerous Drugs Act (Special Preventive Measure 1985). Police have also seized various types of drugs which include methamphetamine (149.54g), Ecstacy (2,360.3g), cannabis (851.15g), nimetazepam (219 pills) and ketamine (63.71g). Earlier, Lim presented promotion letters and certificates of appreciation to 36 officers of various ranks. Several organisations including the media were given certificates of appreciation. “We pledge to continue doing our best and be more committed towards bringing down our crime rate in the city,” Lim said. 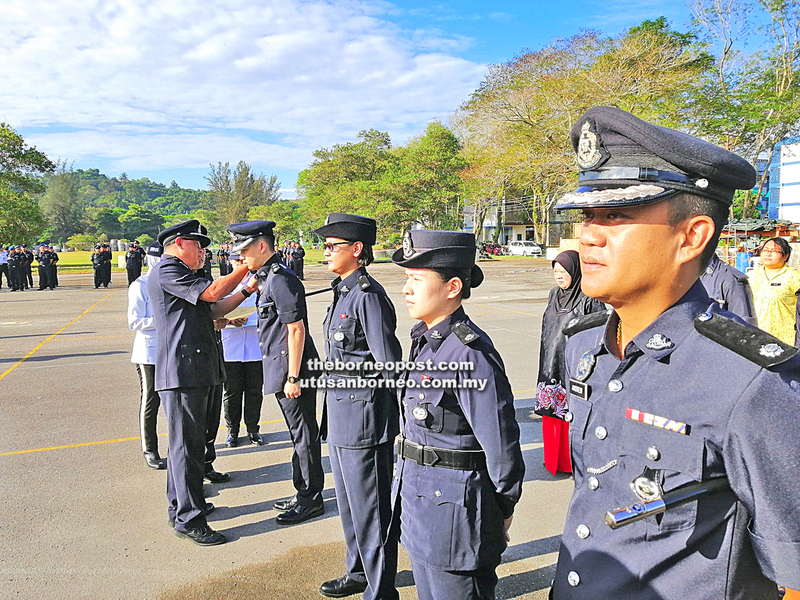 The post Four criminal gangs crippled in Miri this year — Police chief appeared first on Borneo Post Online.